'Woman and Child' by Sam Jinks, 2010 (detail). Humanity amplified. From eerily lifelike sculptures to out-of-this-world virtual reality, this exhibition charts the evolution of hyperrealism into the 21st century and asks ‘what makes us human?’. 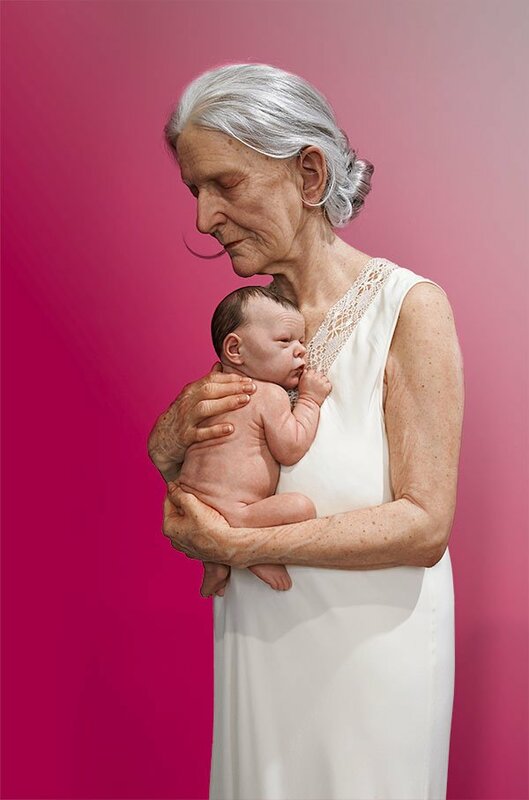 Including major works from early American pioneers George Segal, John De Andrea and Duane Hanson, Australian artists Patricia Piccinini, Ron Mueck and Sam Jinks, international artists Maurizio Cattelan (Italy), Berlinde de Bruyckere (Belgium), Evan Penny (Canada), Sun Yuan and Peng Yu (China).